In order to become licensed to operate certain medical equipment, individuals will need to take the Ultrasound Physics and Instrumentation (UPI) Test. This exam was developed by the American Registry for Diagnostic Medical Sonography (ARDMS). 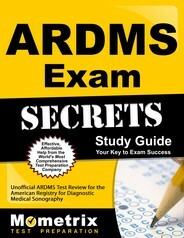 The ARDMS Ultrasound Physics Exam will have approximately 120 multiple-choice questions and must be completed within two hours. Each of the questions will have four possible answers. Around 15% of the questions on the exam will be pre-trial questions used to develop future versions of the test; these questions will not affect the candidate’s score. The score will be calculated as the number of questions answered correctly, though it will not be issued as a percentage. The number of correct answers required to pass the exam will depend on the difficulty of the exam. 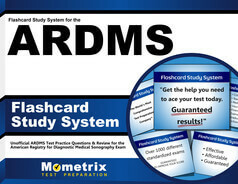 The ARDMS defines a cut-off score for each version of the exam. Unanswered questions will be considered incorrect, so candidates should answer every question on the exam. The UPI exam is administered by Pearson-Promissor, Inc. throughout the year at locations around the country; prospective test-takers can apply for the Ultrasound Physics and Instrumentation Test at the ARDMS website. *Disclaimer: The American Registry for Diagnostic Medical Sonography, Inc. (ARDMS) does not endorse this product nor is the ARDMS affiliated in any way with the owner or any content related to this website.